Menopause, often referred to as “the change of life,” occurs when a woman has not had a period for approximately 1 year, therefore marking the end of their childbearing years. Typically, menopause affects women around the age of 50, but can occur in women as early as their mid-40s as well as those who are already well into their 50s. Every body acts and reacts differently. Most of the time menopause isn’t something to worry about as far as your health is concerned, as it is a natural part of the aging process. However, it can be a startling transition for some, so it’s important to have a general idea as to what you can expect. First, it’s important to know what actually causes menopause. Menopause is caused by a change in a female’s hormone and reproductive system. As a woman ages, so does their egg supply, therefore their body will not ovulate as frequently. This can result in the fluctuation of your hormone levels which can cause changes with you periods. Eventually, both the estrogen and progesterone levels in your body will drop, to the point where your menstrual cycle eventually stops all together. 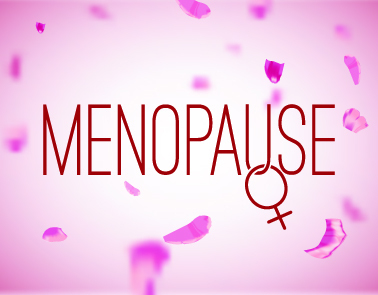 Next, you’ll also want to know the symptoms that can be associated with menopause. These include hot flashes, headaches, insomnia, behavioural and/or emotional changes (for example, you may develop mood swings, feel depressed, grouchy, or feel more anxious than usual), memory problems, vaginal dryness, and heart palpitations. Many women going through menopause will have very few or very mild symptoms, while the symptoms can be so severe for others that it may disrupt their ability to carry out day-to-day activities. During the first year of menopause the symptoms may worsen or persist longer than usually, though the hormone levels do eventually even out which means the symptoms should improve or go away all together. As mentioned, menopause is a normal part of a woman’s aging process. However, certain medical treatments such as radiation or chemotherapy can also trigger menopause, so it’s important to be prepared for the possibility of that happening and address any concerns you might have with your family physician. There are no tests that can diagnose menopause; however, if your symptoms do happen to be severe then you should seek medical treatment just to be sure nothing else is going on with your health. If you find your symptoms difficult to deal with, there are certain things that Dr. Ali Ghahary recommends trying – lifestyle being the main focus. This includes making a conscious effort to eat well by ensuring you have a nutritious diet that is low in carbohydrates, low in saturated fats, and includes more things like fruits and vegetables, fish, beans, fibre, grains, and low or non-fat dairy products. Things like caffeine and alcohol can also make symptoms of menopause worse, so you should limit these. If you’re a smoker, quitting can actually reduce hot flashes. Quitting smoking also has many other health benefits, which you can read more about by clicking here. If you find that making a few lifestyle changes isn’t doing much to improve your symptoms, prescription medication is another option. Low-dose birth control may be considered before menopause, while low-dose hormone therapy may be considered after menopause; antidepressants and anti-anxiety medications can also be prescribed to help improve the mood. For a list of other common health concerns that can affect women, click here.